MADRAS, OR -- A fire at the Brightwood facility in Madras, was kept small, Tuesday, limiting the damage to the mill. Jefferson County Fire crews responded to the building on Northwest Hess, at about 5:30 p.m., and found heavy smoke coming from two open loading doors. They quickly extinguished the blaze, which was confined to the immediate area. Damage is estimated at about $400. Then, early Wednesday morning, firefighters put out a brush fire threatening two homes on Roosevelt, in Madras. 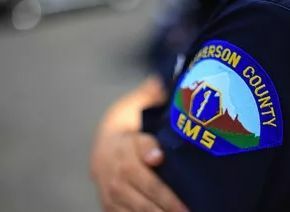 The blaze was spotted by Jefferson County medics as they returned from an unrelated call. They alerted residents and fire crews, just before 1 a.m. The fire in juniper brush was held at a 50'x15' area. There was no damage to either home; however, three lawn decorations were destroyed.